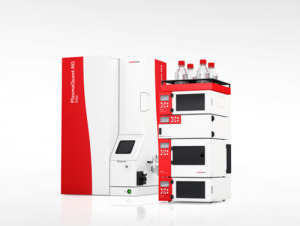 PQ LC is a series of modular chromatography systems for LC-ICP-MS in combination with the PlasmaQuant MS (Elite). 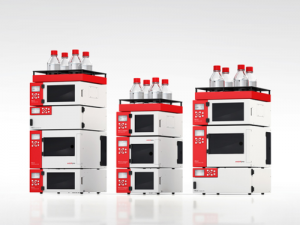 The combination of PQ LC and PlasmaQuant MS offers a versatile, robust, and highly sensitive solution for the determination of element species in various kinds of samples. 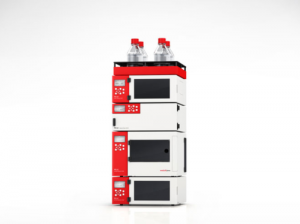 All systems of the PQ LC series are equipped with a sample introduction system with variable volume injection, a quaternary gradient HPLC pump system with vacuum degasser, and a solvent tray for the safe storage of all solvents. The PQ LC systems coupled to the PlasmaQuant MS offer excellent precision and accuracy with well-defined and clearly separated peaks. The combination of excellent chromatography and the high sensitivity of the PlasmaQuant® MS allows for sub parts per trillion (<1 ng/L) limits of detection for arsenic or chromium species.